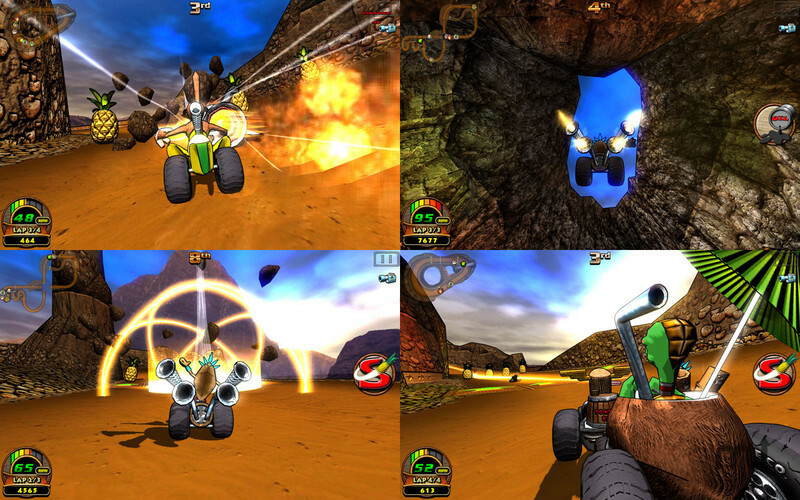 Is there a better alternative to Tiki Kart 3D? 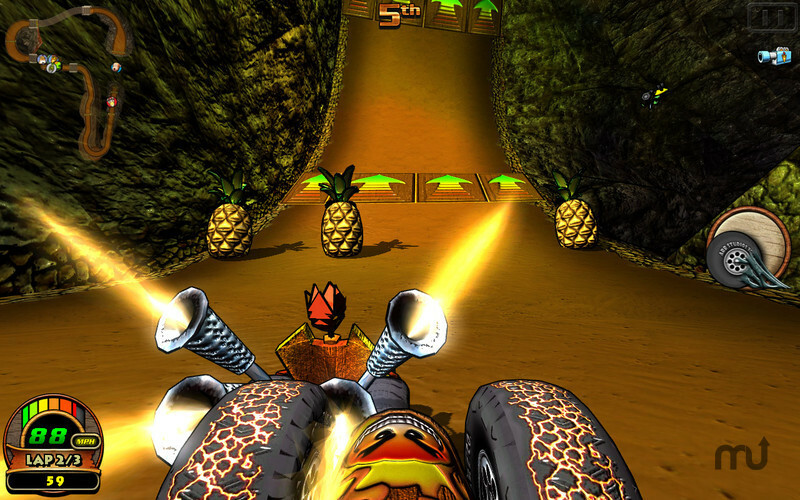 Is Tiki Kart 3D really the best app in Action category? Will Tiki Kart 3D work good on macOS 10.13.4? 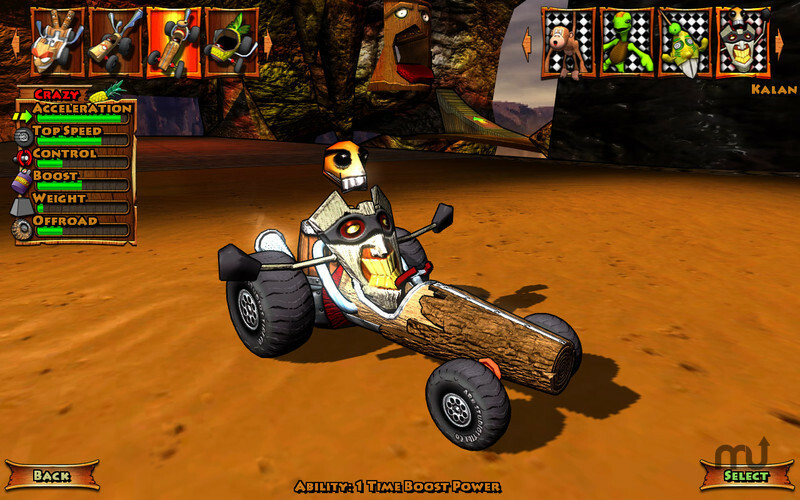 Tiki Kart 3D is extreme 3D Kart Racing, take complete control over the vehicle! Extreme physics, speed, crashes, weapons and more! 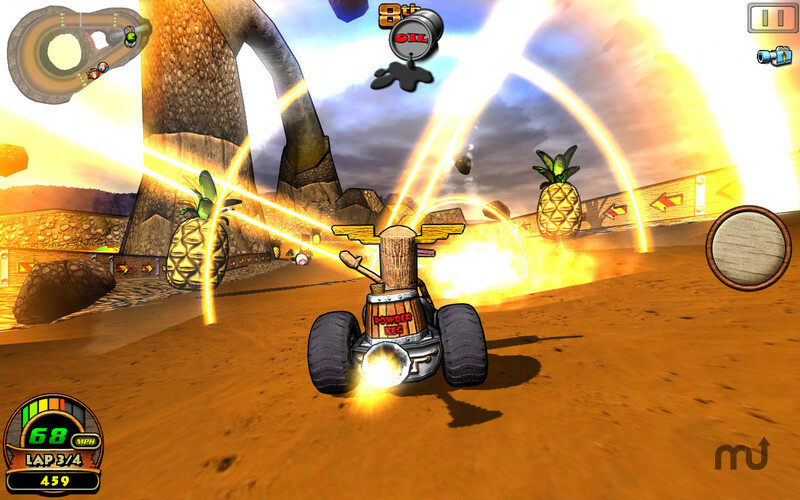 Tiki Kart 3D needs a review. Be the first to review this app and get the discussion started! Tiki Kart 3D needs a rating. Be the first to rate this app and get the discussion started! 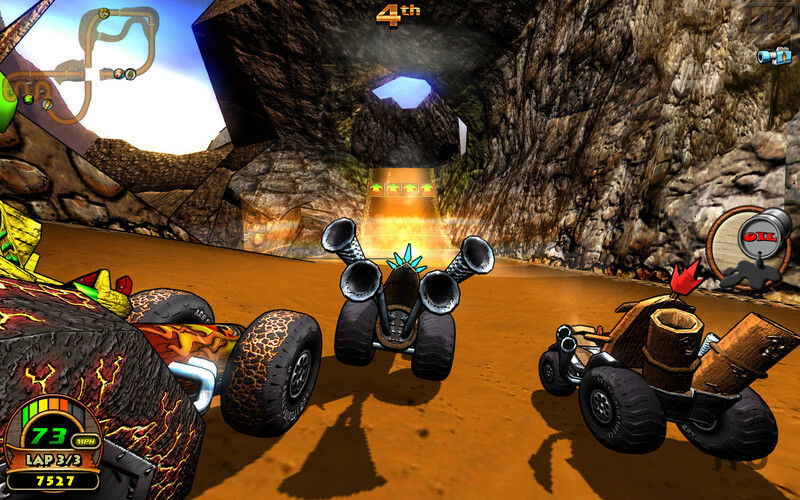 From the depths of the volcano there has emerged some of the zaniest vehicles one could imagine. Ever thought of slapping some wheels on a giant piece of fruit and taking it for a spin? How about racing around in a turtle shell? Why not go a step further and race around in a fruity tropical drink, umbrella and all. If you would rather be the big bully on the road, why not ride around in big heavy log or a volcano powered lump of rock? We did not forget our traditionalist with a sleek powder keg powered drag racer and Tiki Bobby's take on what a traditional kart should be. Go deep into the world of Lonlo's Volcano like never before. Enjoy the vistas as you barrel down the raceways of 15 fun filled tracks. Hold on tight to your seat as you encounter death defying jumps, spiral through corkscrew turns, speed through boost pads, and go full speed through gravity defying loopedy loops.